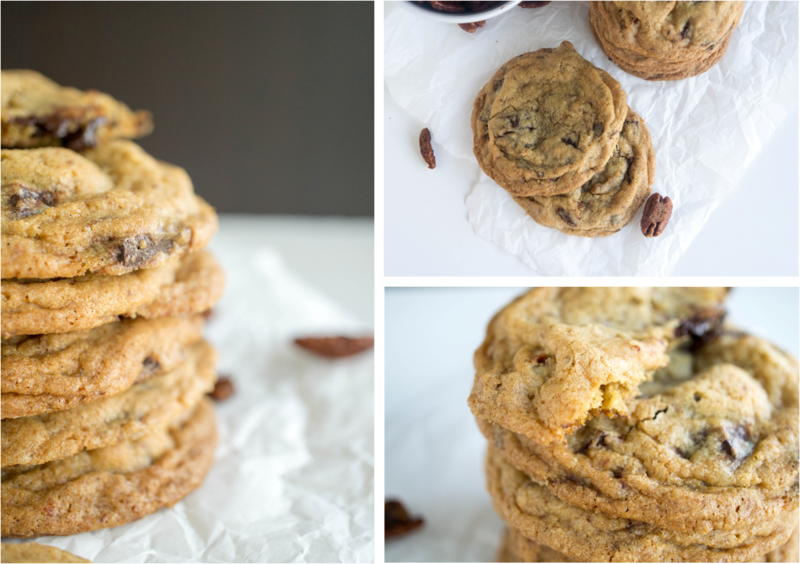 Let’s face it, as the days get shorter and we start waking up in the dark and leaving work in the dark, we need cookies. 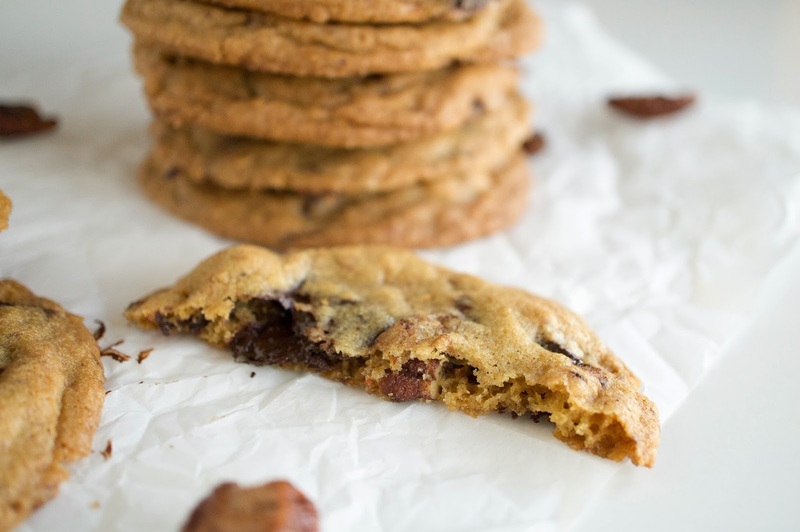 Cookies may not be a direct replacement for sunshine, but they sure help. I first made these cookies around 1 am after coming home from a friend’s birthday celebration. It was raining and we hadn’t brought umbrellas. There was wet hair, there were wet shoes, and then there were cookies. The point is, if I can make them at 1 am with wet hair, you can make them at a reasonable time with dry hair. You probably would have brought an umbrella. 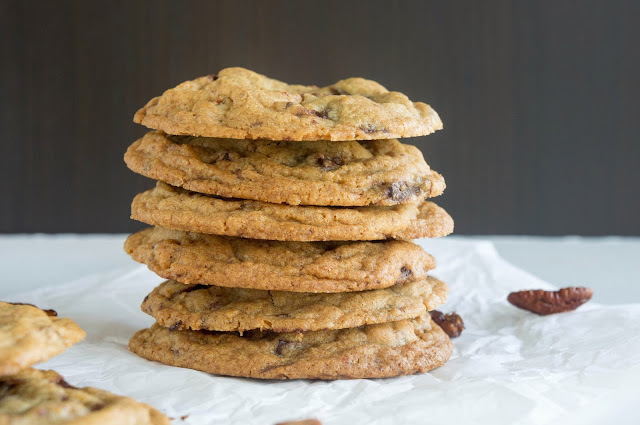 These cookies are perfectly chewy in the center with crispy edges. 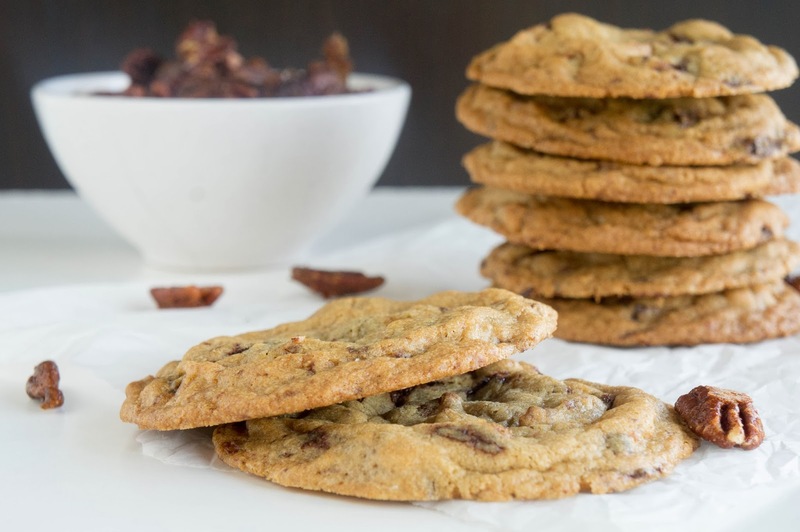 Think classic chocolate chip cookie but with a spicy pecan kick. Or just make cookie dough frosting. You’re welcome. 1/2 cup (4 oz.) unsalted butter, room temp. Preheat oven to 350F and line cookie sheets with parchment paper or non-stick baking mats. In the bowl of a stand mixer fitted with a paddle attachment or with a hand mixer, cream together butter and sugars at medium speed for about 4 minutes, until lightened in colour. Add egg and vanilla and beat until combined. In a large bowl, whisk together flour, baking soda, and salt. Add to wet ingredients and mix until just combined. 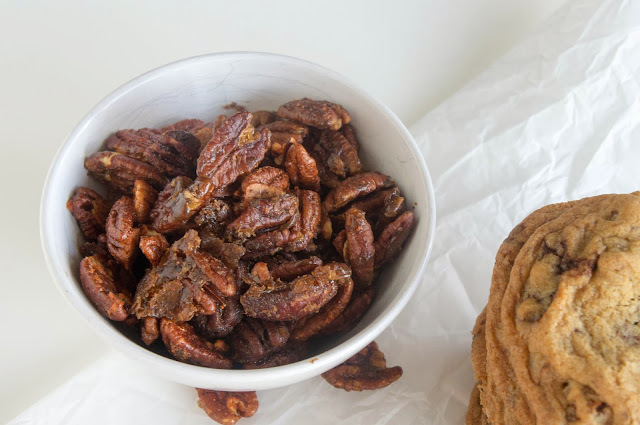 Stir in chopped pecans and chocolate chunks. Roll dough into golf ball sized balls and arrange on prepared cookie sheets, leaving about 2 inches between cookies. Bake in the center of the preheated oven for 12-14 minutes or until lightly browned around the edges but still fairly soft in the center, this is what keeps them chewy. Let cool for a few minutes on the baking sheet until stiff enough to move. Move cookies to cooling rack and let cool completely. Will keep for about 4 days in an airtight container.